How can we explain slavery to our children? Author Michael Cottman has that answer in his new book geared toward readers ages 10 to 16. 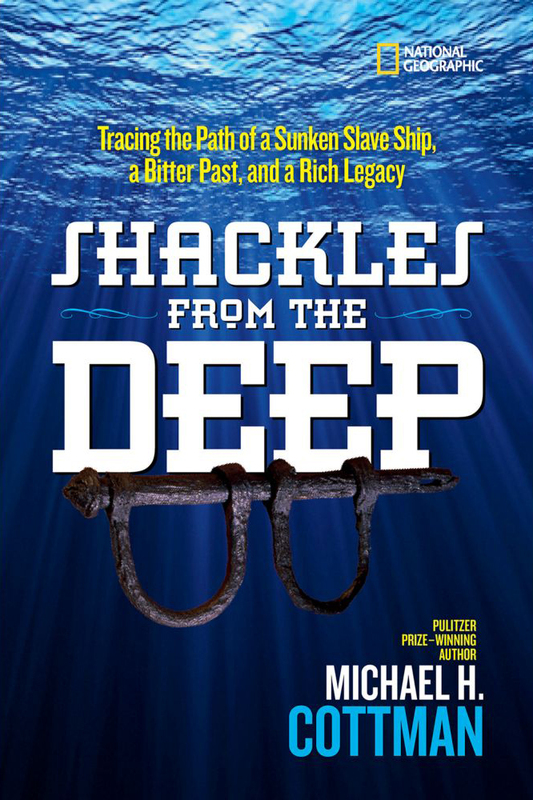 Shackles From the Deep: Tracing the Path of a Sunken Slave Ship, a Bitter Past, and a Rich Legacy, released on Jan. 3 by National Geographic Books, explores the story of the Henrietta Marie — a slave ship that sank off the coast of Florida. The book is an adaptation of his book for adults, The Wreck of the Henrietta Marie, for which he currently is writing a screenplay. Told from Cottman’s perspective, the book introduces young readers to the wonders of diving, detective work and discovery, while shedding light on the history of slavery. The story is also the start of a partnership between members of the National Association of Black Scuba Divers and white marine archaeologists who forged friendships to explore a sunken slave ship and confront race in America. The Henrietta Marie is the only slave ship in America that has been scientifically documented and where 20,000 artifacts were recovered, including the largest collection of slave-ship shackles ever found on one site. Cottman is a Pulitzer Prize-winning, Washington, D.C.-based journalist and avid scuba diver. His journey includes exploring three continents, from foundries and tombs in England to slave ports on the shores of West Africa to present-day Caribbean plantations.